As a Providium limited partner, you join a diverse group of entrepreneurs and investors interested in pursuing unique opportunities in the small business space. We offer both Opt-In and Opt-Out choices for the portfolios we build which allows for maximum flexibility in choosing investment exposure. Our portfolios are designed to hold small business investments across a large range of industry verticals. Our investment strategy is multifaceted, relies on both top down and bottoms up evaluation, and is designed to find companies which have the highest probability of realizing a near term acceleration in cash flow. We are under no pressure to invest in any one geographic area or in any one small business sector. This allows us to maintain a high level of flexibility and discipline. We believe that sustainable earnings growth is best achieved through long holding periods where market share can be incrementally increased without excessive leverage or undue exposure to shifting credit conditions. Unlike traditional private equity, we do not buy or invest in businesses based on future sale expectations. Our investment decisions are guided by our conviction that we can create long term value. We feel that a great deal of investment opportunity remains untapped in the small business sector and targeted portfolios in this space can generate significant alpha for Providium and its clients. 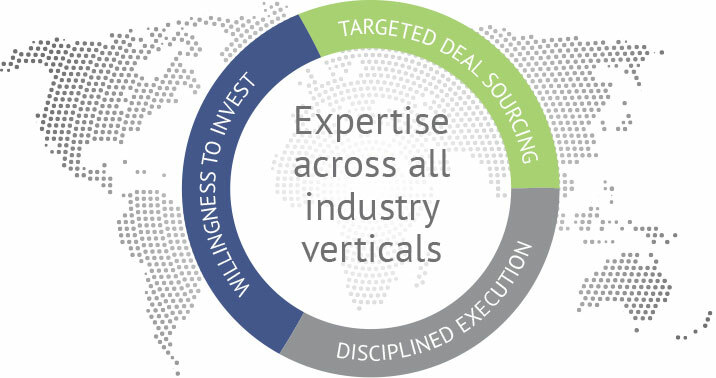 Our investment approach is based on a disciplined due diligence process that quantifies risk while identifying core factors which are essential to increasing enterprise value. We only invest in companies where we can accurately assess risk adjusted return. We purposefully work to identify talented operators and management teams who have generated strong performance through multiple economic cycles. We only invest in proven business models that are characterized by attractive margin profiles and the ability to generate meaningful near-term cash flow. Our team strives to source high quality opportunities in the small business space by proactively developing relationships with small companies and key deal intermediaries. We typically target businesses in fragmented markets where operational nimbleness can generate accelerated cash flow. Our investment decisions are guided by expectations for risk adjusted return. We focus on a company’s current outlook and evaluate the predictability of cash flow over time, under various adverse scenarios. We only invest when it’s clear that we can create significant value through strategic and operational change. Most of our acquisitions are optimized through an initial investment in people and infrastructure, which is usually instrumental in taking a company to the next level of performance. We understand that lower middle market companies and small businesses require a willingness to invest in the near term to reach long term goals.